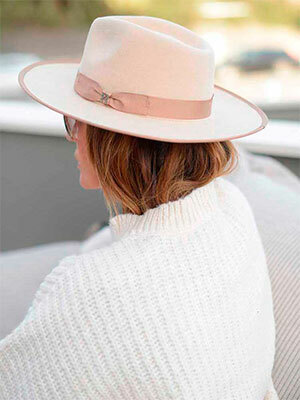 As the designer Philip Treacy says, “A hat can change your life”, even though it is just a piece of clothing to cover your head either from the sun or the cold. Today I want to tell you about English style hats, but first of all I think we should do a little introduction on the subject. Do you know the history of hats? Do you know how they are made or how many types of hats there are? The first hat appeared in Egypt, where the pharaohs and those better positioned hierarchically used a kind of headgear. But the real origin of hats is Greece. The Greeks used the so-called Phrygian cap, a hat worn by slaves who had been given freedom. I suppose they would be very proud to wear them. This meaning of the hat changed many years later when it was used to protect the head from cold and rain. First ones were made with felt and wool. Usually they were white. In Charles VI’s times, french farmers began using them in fields. Other kings such as Charles VIII or Louis XI began to extend their use arround cities. Obviously, these hats had nothing to do with those that were used in the countryside. Made of velvet, gold thread or feathers, these hats were made to be worn by the high society. It was not until the twentieth century when it began to be used by all kind of people. Since then, its use is going down. The four basic parts of a hat are the crown, brim, sweatband and hatband. – The crown is the part of the hat that fits on a person’s head. – The brim is the stiffer material that is attached to the base of the crown and circles the crown either partially or completely. – The sweatband is the small, cloth band that is inside the hat. It is located at the base of the crown and completely circles the inside of the crown. – The hatband circles the outside of the crown at the juncture of the crown and the brim. – Gluing: The first step is gluing. This serves to shape the hat and the materials that will be used to subsequently mold it. – Once the material is ready, the hat is shaped with the ironing process. Several presses and molds are used during this step with heat and pressure. – When the form is achieved, the excess of materials is cut. – The edge of the hat is folded, the chamois and the outer tape are sewn. – When it seems that the hat is finished, it is ironed. An aluminum dam with a pressurized water bag is also used during this step. Top hat: Model used by men of high class during the nineteenth and twentieth centuries. Bell: Used in the 20s. This is a bell-shaped female hat that is worn openwork. Beret: We talked about the beret extensively in another article. It is one of the most used hats for both men and women. Bowler: A hard felt hat with a rounded crown created in 1850. More commonly known as a Derby in the United States. Deerstalker: A warm, close-fitting tweed cap, with brims front and behind and ear-flaps that can be tied together either over the crown or under the chin. 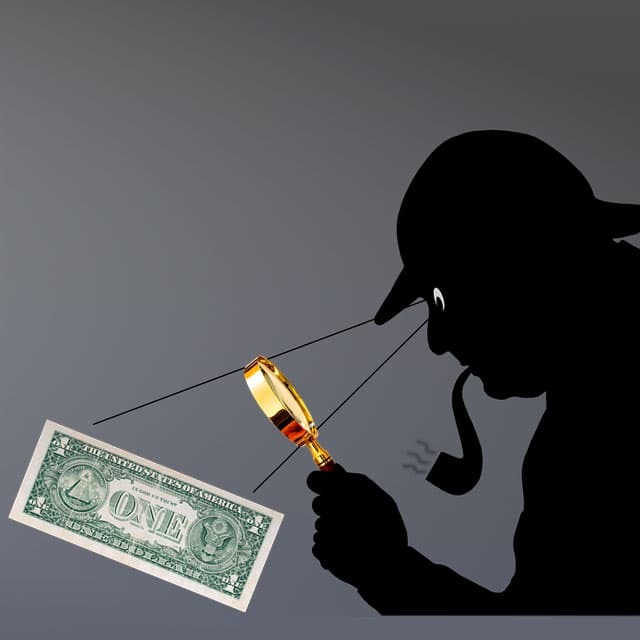 Associated with the character Sherlock Holmes. Panama Hat: This hat is also known as jipajapa. It is a male hat made of straw and originated in South America. Fedora or Borsalino: Very used by mobsters in Hollywood movies. Hat made with felt for men. Trilby: Like the previous one, this is a felted male hat but with a shorter wing. Very used in the Tyrol. Boonie: White cotton hat with medium size wing. Boss of the plains: Used in the American West. Canotier: Rigid straw hat, with a flat crown and brim. The Canotier is very used by gondoliers in Venice. Although it is more common among men but it can also be worn by women. Sombrero cordobés: A traditional flat-brimmed and flat-topped hat originating from Córdoba, Spain, associated with flamenco dancing and music and popularized by characters such as Zorro. Pamela: Typical hat used by women with a wide brim and usually worn at weddings or high society events. We will also expand information about the hats later. Salacot: Rigid hat with a medium wing that is usually worn by the military in some Asian countries. It is a hat-helmet made with cane and other natural materials. Gat: Rigid hat, with a wide brim and a high crown in a cubic shape. It is used more by men in Korea. Hardee Hat: They used it in the American army during the Civil War. Montera: Flat hat with two lateral ribbons used by bullfighters. Bucket: A soft cotton hat with a wide, downwards-sloping brim. Capotain: Rigid hat, with high cup in the shape of cone and with a buckle in the low part. This hat is very associated with some religious congregations in the USA. Chambergo: Soft, cone-shaped, round top hat with a slightly rotated wide brim. Chupalla: This is typical from Chile and it is used by farmers and ranchers. It is made of straw and it has a very wide wing. Prokpie: It is very similar to the canotier but smaller. Boy Scout: High cup with four dents and medium size wing. Homburg: It’s a mix between the English style hat and the Fedora. Undoubtedly, English are the kings of hats. The English style hats are known all over the world. The typical English hat, also known as a mushroom hat, is usually used formally and it has a hemispherical shape as its name suggests. A hard-felt hat with a rounded crown created in 1850 by Lock’s of St James’s, the hatters to Thomas Coke, 2nd Earl of Leicester, for his servants. More commonly known as a Derby in the United States. By that time they called it the “iron hat”. Its name comes from its first producers, the brothers Bowler. The bowler hat was used to cover the head of the forest rangers while riding on horseback. When we think of a bowler hat, historical figures like Chaplin come to mind. Currently the bowler hat is practically one of the hats of the British royalty. Although it is less common to see it nowadays, thanks to these gentlemen we will always remember this English style hat. We shouldn’t that this hat has a British origin but it is also used in Bolivia. There, women use it as a symbol of honor and authority. Far away from the English style hats are the curious hats of Ascot. The Hippodrome of Ascot is one of the oldest and largest of the english circuit of horse racing. Although there are several races throughout the year, these hats are trending topic throughout the world. Moreover, the event has become a kind of ahat parade. There you can see everything: flowers, insects, bright colors, etc. The funny thing is that Queen Elizabeth II, a faithful assistant to the race, always repeats the model in different colors. Queen Isabel is a well-known user of hats. The dress code protocol determines that women should wear hats at formal events. Until the 1950s, most women wore hats in public because they thought it was not appropriate to show their hair in public. Now they are used in more formal situations and events. Maybe you do not care what hat Queen Elizabeth II wears but I will tell you that on some occasions she has become a trending topic on social networks. Another of the well-known English style hats is the Sherlock Holmes or the deerstalking cap. Just as you cannot imagine the famous english detective without his beloved Watson, you can not imagine him without his characteristic cap, which has a curious story behind it. The official illustrator of Sherlock Holmes was Sidney Paget. This work came to him by chance to Sidney since he was not the one who had to edit it but he took advantage of a confusion. His first illustration was made in 1891, when Holmes appears for the first time with his hunting hat in rural England. Later he explained: “As a young man, my father lived in the countryside. Like many artists, he played all kinds of activities, but I do not think deer hunting was one of them. I imagine he chose this type of hat because it was the most appropriate and comfortable to walk around these places. ” Thus, Sidney Paget created a myth. Use the right size neither big or small. It should be adapted to your measure. Each outfit wears his hat. Depending on the style of clothing you wear, you must use one hat or another. It’s not something to worry about since the possibilities are endless. If you are of low height, you better use small hats. Try that wing does not exceed the width of your shoulders. I’m sorry but this is only meant for tall people. And if, on the contrary, you are tall, use big hats. Never use small since it will seem strange. If you are rather plump, use high-top hats and small or medium-sized to stylize. The most appropriate hairstyles to wear hats are the low ones, braids or pigtails low and tilted and, depending on the cases, the manes. Each hat has to be used in its season. This will vary mainly according to the material. Watch out! If you go to a wedding, remember that the protagonist is the bride. Don’t want to get too much attention with your hat. If a woman uses a hat for whatever the event is, she will not take it off her head. At weddings it is accepted that they are removed when the dance begins. For men it is advisable not to wear a hat if they attend an event that is held indoors. Also if you wear it, you should remove it in certain situations.